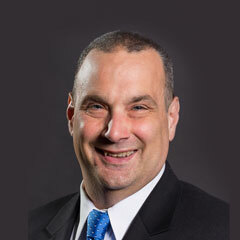 Stefan Karnavas is President of our Materials Science and Engineering Science businesses. Serving as EAG’s Chief Financial Officer 2015-2018, Stefan played a key role in the company’s recent growth trajectory and its recapitalization under Eurofins Scientific ownership. On January 1, 2019, he assumed the role of President of Eurofins EAG, and is responsible for leading the company’s Materials Science and Engineering Science businesses. Prior to joining EAG, Stefan served as CFO of SKLZ, a consumer-branded, sports training equipment manufacturer where he was responsible for Finance, Accounting, IT and Corporate Development. Stefan was engaged by SKLZ’ board of directors to develop, align and execute a multi-year operating plan, corporate goals and a financing strategy which led to the successful completion of a $40 million round of private equity at an attractive valuation. During Stefan’s four year tenure at SKLZ, revenues doubled and the valuation of the company quadrupled. Stefan spent 10 years at Leap Wireless International / Cricket Wireless, a publicly traded mobile communications company which grew from start up to over 5 million customers and $5 billion in revenue and in 2014 was acquired by AT&T. Stefan initially served as the CFO of Cricket during the start-up phase and subsequently served the parent company in roles of increasing responsibility including VP Finance – FP&A, VP Finance – Network Operations, IT and Real Estate, and VP Finance & Treasurer. During his tenure, Stefan raised over $5.0 billion of gross debt and equity capital and led a team that renegotiated vendor contracts during Leap’s corporate restructure that reduced annual operating costs by $140 million or 20% of Leap cost structure. 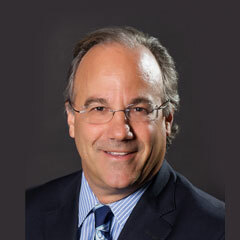 Stefan Karnavas served as CFO of Cobblestone Golf Group, a private equity sponsored consolidator of private and public golf clubs which tripled in size during his tenure. Cobblestone grew to 45 properties, $150 million in revenue, $42 million in EBITDA and 3,400 employees. While at Cobblestone, Stefan successfully re-capitalized the Company with a $100 million public high yield debt offering, integrated 30 acquisitions and reduced G&A expenses by $1 million through accounting organization synergies. The company exited at a valuation in excess of $400 million. Stefan served as Treasurer and Director of Corporate Development for Horizon Cellular Group where he assisted in raising over $100 million in private equity and acquired cellular franchises valued at $65 million. Stefan began his professional career at Fidelity Bank and served as an Investment Officer for the venture capital subsidiary of the bank, where he made investments in leveraged buyouts and emerging growth companies. Stefan graduated from the University of Denver with a BSBA in Finance, and from UCLA’s Anderson School of Management with an MBA. 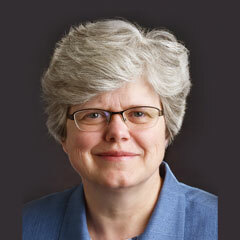 Dr. Patricia M. Lindley has been Executive Vice President of EAG’s Materials Sciences division since March 2008. Pat joined what was then Charles Evans and Associates in 1991 as a Staff Analyst where her particular field of expertise is in TOF-SIMS analysis. Her analytical research focused on developing polymer and organic applications of TOF-SIMS as well as in evaluating cleanroom contamination. During her tenure at EAG, Pat has advanced through increasingly responsible management positions in operations and quality. She led the quality program for Charles Evans’ initial ISO certification, directed the development and implementation of the lab’s LIMS system, and developed the company’s export compliance program. Prior to joining EAG, Dr. Lindley was a Research Chemist and an Officer in the US Air Force for four years, where she worked on the development of high temperature polymers for structural application, as well as polymers for third order nonlinear optical materials. Dr. Lindley received a Ph.D. in Organic/Polymer Chemistry from the University of Maryland. 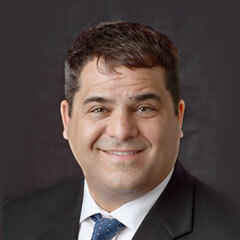 Aram Sarkissian joined EAG in 2007 as part of the acquisition of Accurel, where he served in a variety of roles with increasing responsibilities in Engineering, Sales & Marketing, and Management. Aram was instrumental in the development of the FIB circuit edit business, hiring and leading electrical engineers knowledgeable in both circuit and semiconductor processes. The teams’ strong understanding of system and device interaction lead to results with higher yields and entry to work on advanced technology nodes. Aram helped start a microelectronics Failure Analysis laboratory which grew to one of largest domestic commercial FA labs to support the growing number of fab-less, lab-less semiconductor companies. Aram Sarkissian was part of the team that established an Advanced Microscopy lab, the first commercial lab to offer Dual Beam FIB/SEM services, and helped bring TEM services into more widespread use for R&D by reducing turnaround times on advanced applications. His understanding of the technology, markets and customers helped early integration efforts as several acquired labs were consolidated to form a more comprehensive approach to problem solving across a range of disciplines including: Test, Reliability, Debug and Failure Analysis. Aram holds a BS in Electrical Engineering and Computer Science from the University of California at Berkeley. Tomoya Aoyama joins us as Senior Vice President, Asia after 13 years in roles of increasing responsibility at Thermo Fisher (formerly Life Technologies & Fisher Scientific). His most recent position at Thermo was as Sr. Director of Regenerative Medicine and Bio-Production (after a promotion from Director), leading that market in Japan. 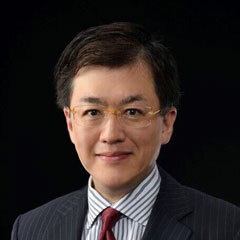 Prior to that, he has diversified experiences in Asia as General Manager of Taiwan and Hong Kong with responsibility for the full product portfolio for Life Technologies as well as 130+ employees and was part of the Greater China Leadership Team, the commercial leader of Bio-Production, Japan & South Korea and also Country Manager and Representative Director for Fisher Biosciences for four years. Preceding Fisher, he began his career with Idemitsu Kosan Co. in Japan leading business development in the bio technologies and life sciences market commercializing animal health products, cosmetic chemicals and other specialty chemicals. Aoyama-san’s education includes a bachelor and Master of Science in fish sciences from Hokkaido University, Japan. Carey Lewis joined EAG Laboratories as Senior Vice President, Corporate Development after six years as VP of Corporate Development at Underwriters Laboratories (UL). In that role, he managed 35+ deals across five continents. While at UL, Carey was responsible for all aspects of the mergers and acquisitions process, from finding appropriate opportunities to investigating the companies, negotiating and then helping to integrate newly acquired businesses. Prior to UL, Carey spent four years at Schneider Electric, where he managed the corporate development function for Schneider’s North American business. He has also held senior finance, business development and corporate development roles at Pregis, Pactiv and Monsanto. 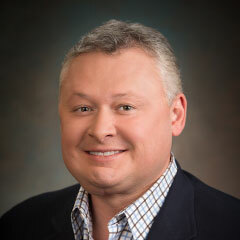 Carey began his career in research and development at Dow Chemical. He graduated from Saginaw Valley State University with a BS in chemistry, and earned his MBA at the University of Michigan. 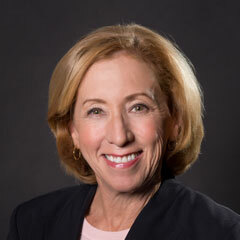 Alisa Judge joined EAG in August, 2014 as Senior Vice President, Human Resources. Prior to joining, Alisa worked for 6+ years as Vice President, Human Resources at Sequenom, a publically traded, 600 employee biotech company which performed molecular diagnostic testing and produced and sold mass spectrometers. She was part of the team that launched a revolutionary pre-natal test requiring significant, rapid organization growth to meet market demand. Before joining Sequenom, she was Vice President of Human Resources at Nielsen – Claritas, a division of the media measurement global company which provides marketing research and demographic data for customer acquisition and site selection. From 2003 to 2005, Alisa Judge led the HR function for GKN-Chem-tronics, a 1,200 employee subsidiary of British owed GKN Aerospace which specializes in manufacturing complex, chemically-etched titanium commercial jet engine components. In this role, along with HR for 3 sites, she managed the environmental, health and safety function which was recognized for world class performance. For 10 years, Alisa managed the human resources function for the leading distributor of general interest books to the warehouse club stores including Costco and Sams. During her tenure, this US publically traded company grew to over $1b in revenue with employees in the US, Europe and Australia. Alisa graduated from Humboldt State University with a BS in Business, and serves on the HSU Advancement Foundation board. Dan Tilley joined EAG as Chief Information Officer in October, 2015. Prior to joining EAG, Dan was the CIO and EVP at ClubCorp where he worked in roles of increasing responsibility for eight years. ClubCorp is a publicly traded company with 20,000+ full time and seasonal employees and 200 locations. Dan served as President of the company’s 503c, Employee Partner Care Foundation which provided over $2m in grants. He oversaw a project to centralize billing system resulting in reduced annual operating expenses by $4 million and reduced IT and Accounting costs by $15 million annually by implementing a multi-year outsourcing plan. Dan was a founding partner of Brightstar Golf Group and filled a variety of roles for the start up. Before, Dan Tilley was CIO and VP Finance at Spectrum Clubs, in the health and fitness market with 100k members. During his 4 years, he managed numerous cost cutting initiatives for IT, accounting and finance functions. Dan was the VP and CIO at Cobblestone Golf Group where he had responsibility for IT, District Accounting, Training/Transitions, Internal Audit, Staffing, and Reporting. Dan received a BS from University of Pittsburgh in Computer Science and Mathematics. Zhiguo Zhang is Senior Vice President, Commercial Operations our Materials Science and Engineering Science businesses. 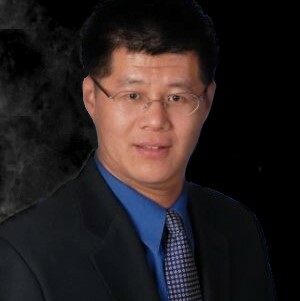 Zhiguo Zhang “ZZ” joined EAG Laboratories Sr. Vice President, Commercial Operations in March 2019. ZZ has extensive experience serving several global end-markets, including medical device, integrated device manufactures, integrated circuits, semiconductor foundries, LED, solar, cell phones and computing and cloud companies. Born in China, ZZ graduated from Beijing University of Chemical Technology as a Design Engineer. After receiving his undergraduate degree, he attended Ohio State University, where he received master’s degrees in both Chemical Engineering and Computer Science, and subsequently earned an MBA from Ohio State’s Fisher School of Business. While in school, he held engineering roles at Cabot Corporation and Diamond Innovations. Upon receiving his MBA, ZZ joined what is now Tosoh SMD, formerly Varian Specialty Metals. He held a variety of positions there for 11 years, the final as Director of Global Sales and Marketing. In 2016, ZZ moved to New Jersey for Ametek as Director, Sales and Marketing for Ametek Coining. ZZ is fluent in Mandarin and English. From his home base in San Diego, ZZ has responsibility for the full scope of commercial strategy and activity across EAG Laboratories in the US and internationally. He works closely with our operational leaders, and is accountable for driving organic growth.